Blue Fox Entertainment has secured the worldwide rights to Big Bear, a comedy from first-time feature director Joey Kern, with a planned day-and-date release September 22. It will be the first U.S. theatrical release for Blue Fox’s recently launched distribution banner. Big Bear was written by Kern, who also stars with Pablo Schreiber (American Gods), Adam Brody (The O.C. 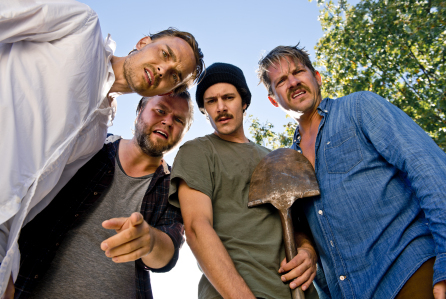 ), Tyler Labine (Deadbeat), Zachary Knighton (Happy Endings) and Toby Huss (Halt and Catch Fire). The film was financed by Maybe This Year (MTY) Productions and produced by MTY Productions in association with Fortress Features.